Leave it to my fabulous friends to show me all the fabulous things of life. Thanks their wisdom, I am now privy to the transforming power of nail polish (and the best ways to apply it and dry it), the most simple and delicious hot toddy recipe ever, and the wonders of Netflix to name a few. 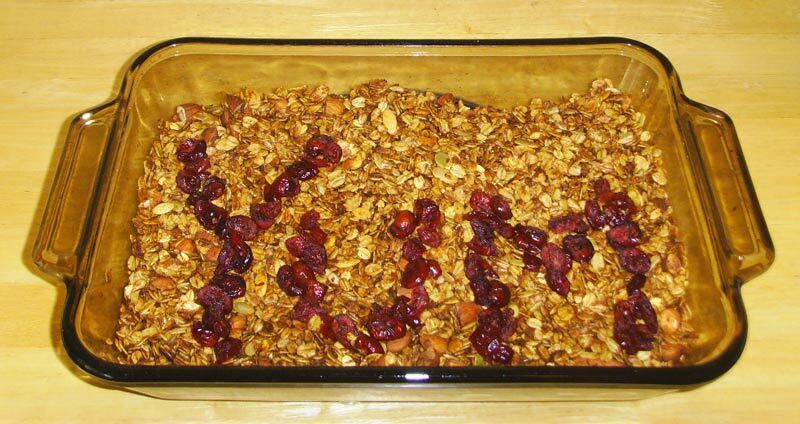 Most recently I learned the joy and ease of homemade granola. To be honest, I faintly remember my parents making granola a handful of times when I was younger but now that I'm grown (and broke) the genius of it all has finally sunk in. I love anything that is personalized so custom-made granola is like a thrifty gift and triumph all in one. And it's hard to mess it up (unless you burn it in the oven), which is great for me because I'm a rebel and hate having to figure out exact measurements. Heat oven to 325. Place oats, nuts, flax seed and coconut in the baking pan. Melt coconut oil in saucepan; mix in the honey, vanilla, almond extract and salt. Pour mixture over oats and nuts and mix well. Bake for 15 minutes and stir; 15 minutes and stir. Repeat until at desired browness. Take out and add dried fruit.